Go with your gut feeling! …they say. But what if you can’t feel anything??? Here’s the trick. We hear it all the time. If in doubt – go with your gut feeling! Or – listen to your heart! Easier said than done because what if you can’t “feel” or “hear” anything? If all you feel or hear is… nothing? Or if what you sense is just a faint, blurred mixture of feelings and thoughts pointing in all kinds of directions? In most jobs – and in all lives! – we face difficult questions. In terms of our career – should you choose this job instead of that job? Or – What to do about that colleague (or boss) of yours who is really bothering you and seriously making you want to leave your job? When choosing company strategy; we have all “the background data” at hand, but should we choose this scenario instead of that scenario? On the personal/private front; is this relationship really for me, or is it time to end it? Should I relocate – and hopefully that will solve my problems? Difficult questions that require serious and not too fast answers. Especially because we simply cannot gather enough “data” to choose the “right” answer for those questions. The “right answer” – objectively seen – does not always exist. 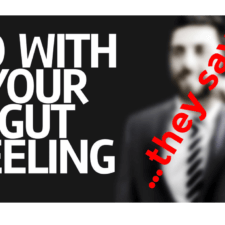 In other words – we have to rely on our gut feeling. If you can clearly sense it that is. So what to do if you cannot decipher – or feel – your gut feeling? There is one place you can go and get a much more informed answer if you cannot feel your gut feeling, or hear what your heart is telling you. A place where you find the answer that is right for you, given all the pros and cons. It is not the Oracle of Delphi by the way. Not your best friend. Not your therapist. Not your partner. The answer comes from within yourself – namely in your dreams, your nightly dreams. Now this might be where you want to navigate away from this post. Let me tell you you are too fast then. Also if you right now are thinking; but I never (/rarely) dream! You do dream, you just cannot recall your dreams. Something you can become much better at. Did you know that Barack Obama consults his dreams in order to develop and better understand himself as a leader and a human being? * Along with many other prominent folks. In many respects you can say that the content of your nightly dreams directly reflect your intuition and gut feeling. So when we are challenged in terms of truly listening to “our selves”, our heart, our gut feeling – the content of our nightly dreams would be the place to go (by the way, we all dream 2 hours/night, and again – if you cannot recall yours, do not distress – you can easily learn how). I myself made a major career change based on a dream I had the night after having accepted an expat position in the US. I was to work as a marketing consultant for a major US pharmaceutical corporation. The “full package” with house and car paid for, on top of an already huge pay check. I was very much in doubt as to whether making that move was the right thing for me to do. I anyway accepted the job (honestly did not know what else to do), and the night following that decision I dreamt of a woman burying an indefinite number of dead babies. Cold, blue, little dead babies. In the dream the woman was deeply moved, clearly mourning the dead babies. Very horrifying dream, but the dream carried a very clear message for me. What the content of our dreams signify is highly individual. My dreams are my dreams. Your dreams are your dreams – made by you. We need to ask ourselves what we associate with the figures, objects etc. appearing in our dreams. To me, babies are little creatures who can grow up and become literally anything. By continuing my then career – and thus by accepting the position in the US – I was burying a lot of other development opportunities, talents not being put to use. The dream told me it was time for me to change direction. Which I did – strongly influenced by the dream I had. Since 2009 I have worked as a trainer within leadership and project management, also having added a bachelor of psychology to my MBA (Master of Science in Business). Since 2012 as a speaker and researcher on nightly dreams. Our dreams give us the courage to live our lives in accordance with who we are. But using your dreams is obviously not only for personal matters. Also in situations where you take important business related decisions, your dreams serve as an utmost perfect sparring partner. I have got plenty examples of CEO’s actively using their dreams for decision making, and I would love to share them with you. Again, we all dream 2 hours/night. And if you think you never dream then this is actually wrong. It is more a question of you not being able to recall them. There is much you can do to better recall your dreams, much more than just having pen and paper ready on your night stand. There is likewise much you can do to learn the language of dreams – a language just like any other language. 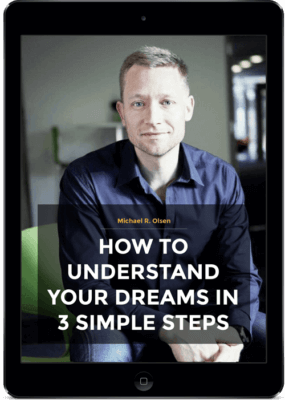 If you would like me to pay you and your colleagues a visit and introduce you to the fantastic world of dreams and how you can utilize them (also better recall them, and understand the symbolic dream language) – give me a call (+4528450975), or send me an e-mail: hello@michaelrolsen.com.